When Jacques Reynaud died suddenly back in 1997 his wife asked their nephew, Emmanuel Reynaud, to make the wines and continue the history of this famed estate. 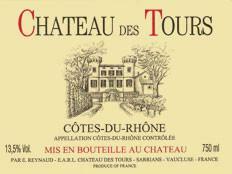 Emmanuel was already making the wines at his father’s Château, Château des Tours. He does not revel in the fame and notoriety that comes from making three (he also makes the wine at Fonsalette!) of the greatest and most sought-after wines in the Rhone, rather he views himself still as a simple farmer. One who farms organically, manually plows his vineyards with a horse and plow, tends his vines every day, and many nights, but unlike his uncle, he does allow visitors to meet him at Château des Tours. Over the years, as collectors have snapped up everything worthy of either a great score or simply because of their scarcity, it has become more and more difficult to obtain any wines from these three estates. 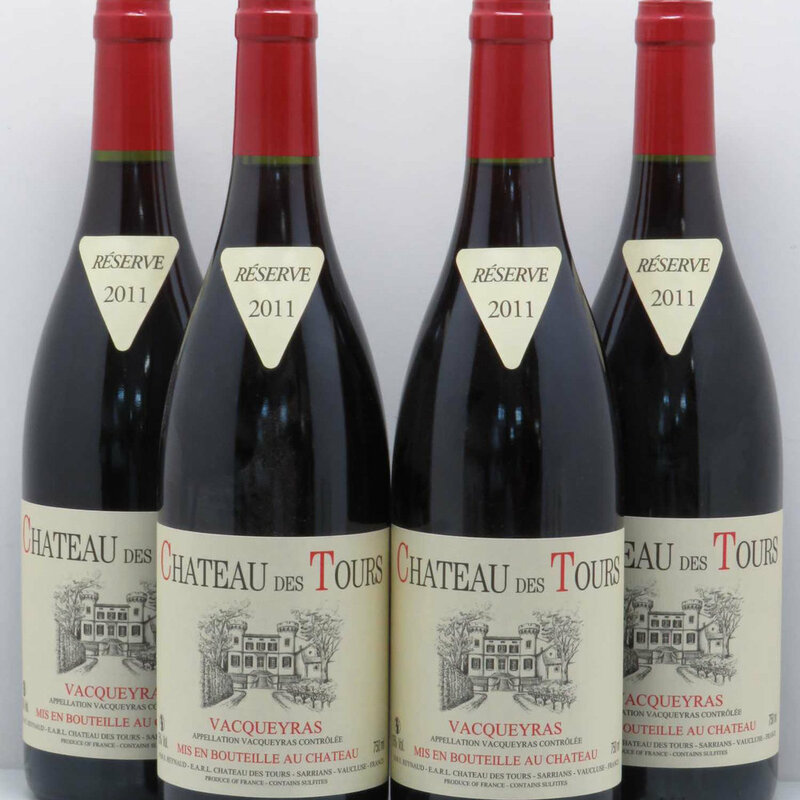 My first opportunity to buy wines from Des Tours came last year - my allocation? 9 bottles. I’m afraid I kept them for myself. This year my allocation has increased to a whopping 21 bottles! I have 12 bottles of the 2014 VdP Vaucluse Rouge, 6 bottles of the 2014 Côtes du Rhônes Rouge and 3 bottles of the 2011 Vacqueyras. A blend of Grenache, Cinsault, Counoise, Syrah, Merlot and Dious. During vinification, each varietal of every vineyard is fermented separately and aged in old oak casks with assemblage taking place in enamel-lined tanks before bottling. Fermentation is natural, with no inoculation of yeasts. 80% Grenache, 20% Syrah. All fruit is handpicked and destemmed. Only the oldest parcels, almost entirely planted to Grenache, are bottled as Vacqueyras. 2009 CDR Rouge: A gorgeous effort that has fabulous aromatics and textural richness, the 2009 Cotes du Rhone dishes out the classic kirsch liqueur, ground pepper, forest floor, lavender and spice-box aromas that always seem present in Emmanuel’s wines RP. The wines are in-bound the week of April 1 and will be in the store later that week. Please let me know ASAP if you wish to purchase. All orders must be accompanied by a credit card and a 20% restock charge will apply to any cancellations. I suspect that these wines will sell out by tomorrow.